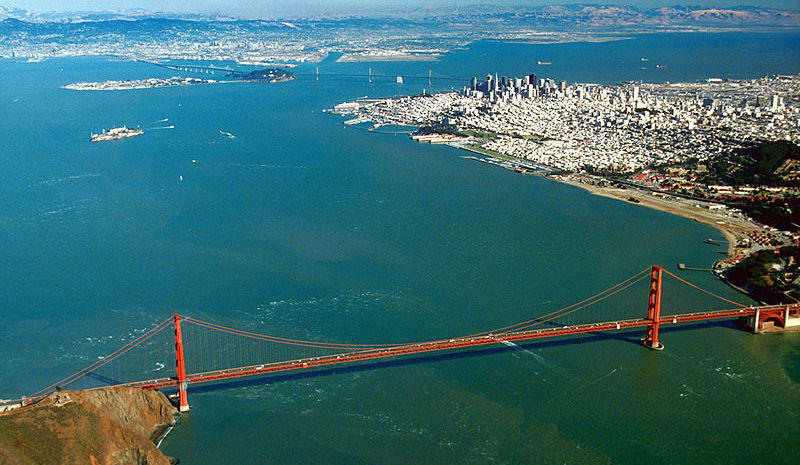 "Fifty years ago, Bay Area residents rallied around the call to save San Francisco Bay. Public action on an unprecedented scale reversed development tides that for more than a century had covered shallow waters with land for industrial parks and housing tracts, roadways and garbage dumps. "Now the challenge is more profound: to accommodate the bay’s impending expansion as it rises because of our warming planet. And to accomplish that in a way that won’t put our human and environmental resources at risk." "Make no mistake: Being San Francisco police chief is a political job. But though public outcry cost former San Francisco police Chief Greg Suhr his post, San Francisco's citizens have little say in directly selecting who leads the department, because unlike the offices of sheriff or district attorney, the police chief is appointed by Mayor Ed Lee. "On the surface, it might seem contradictory to elect a sheriff while appointing a police chief. Both are top law enforcement positions, both are inherently bureaucratic, and require dealing with the same people at City Hall and in the streets." "Pacific Gas and Electric Co., charged with criminal violations of pipeline safety laws in the wake of the deadly San Bruno gas explosion, is accusing federal prosecutors of lying and concealing evidence showing that federal investigators were also part of a state probe of the blast that gave them direct access to the utility’s records. "The alleged deceptions allowed prosecutors to obtain evidence without court approval and mislead the grand jury that indicted PG&E in 2014, lawyers for the utility said in a court filing late Tuesday. They asked a federal judge to exclude a large amount of 'tainted' evidence and to consider dismissing some or all of the 13 felony charges." "Wading into a longstanding California water war, the House Wednesday endorsed a Republican plan to shift more water to San Joaquin Valley farmers and cut the flow for threatened fish and growers in another part of the state. "Rep. Jerry McNerney, D-Calif., tried to strike that proposal from a spending bill, but lost a 247-169 vote that broke mostly along party lines. He says the plan would pump too much water to Central Valley growers at the expense of the inland Sacramento-San Joaquin River Delta." "About 2.5 million union members call California home. With election season upon us, the two Democrats fighting for their party’s presidential nomination see union support as critical to getting out the vote. "Former Secretary of State Hillary Clinton gave unions a shoutout at a recent rally in Oakland." "Professor Jason Henderson’s 'Bicycle Geographies' class wants the ride from Daily City BART to San Francisco State University’s campus to be comfortable and fun. "And why shouldn’t it be? After all, it’s only a 1.6 mile trip that should take even a novice cyclist about 15 minutes. Given the proximity to BART, this should be a no-brainer. But thanks to some harrowing intersections, high-speed traffic lanes, and oddly placed and timed 'safety measures,' it’s anything but."